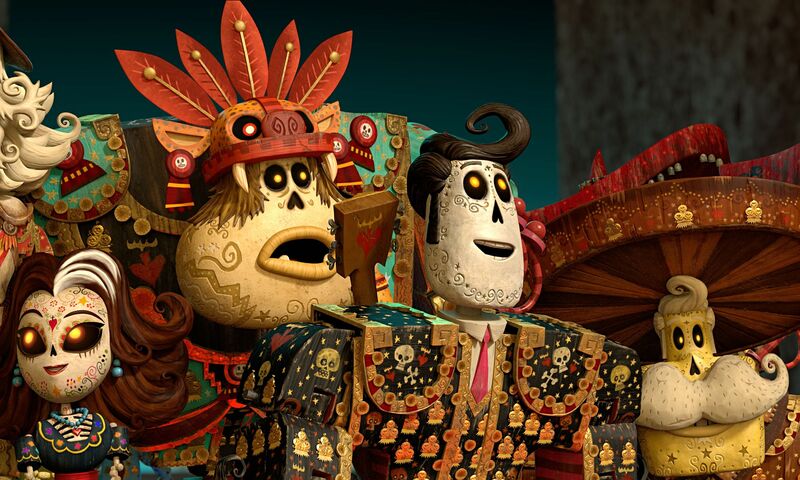 In the spanish dubbing of the movie, La Muerte is called “La Catrina“, this is obviously “Posada’s Catrina” a popular iconic skeletal lady that has become associated with the festivities of the Día de Muertos. Her main attribute is a gorgeous hat. In the movie, the modern Mexican icon (La Catrina) and the classic icon (Lady Death), are fused in a single role as the ancient Mayan goddess of death, ruling over one of the lands of the dead. 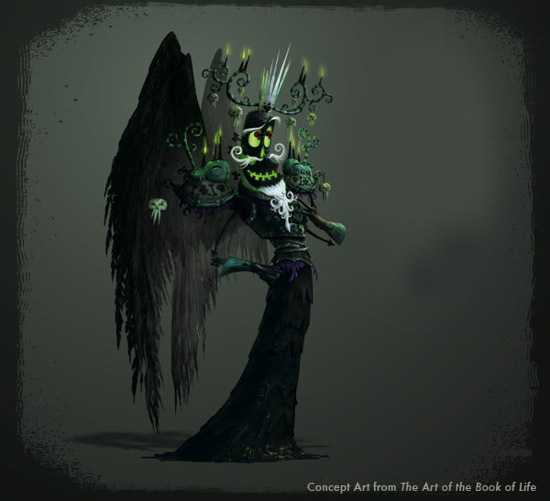 The Book of Life by director Jorge R. Gutiérrez. The original songs “I Love You Too Much” and “The Apology Song” were co-written by Paul Williams. According to director Jorge R. Gutiérrez, when he approached Williams, the composer assumed it was because he had co-written the Oscar-nominated “Rainbow Connection” for The Muppet Movie and was surprised to find that it was because of Gutierrez’s love for Williams’ rock musical Phantom of the Paradise.